Just in time for the sunless tanning season, SheerEsque, Inc. has developed an extended length wand that answers that nagging problem of not being able to spray your back when applying a spray tan. The perfect, complete, all-over sunless tan is now within your reach. Developed by Linda Cooper whose pale skin needed real help, she also knew the problem with application so she set out to solve it. She developed the wand over the past several years and is so excited, at last, to offer it to consumers, everywhere. Wanting only a high quality tanning spray, she also developed a tanning solution that gives you a warm brown color delivered with top of the line aerosol components so the mist is ultra soft complimented by a refreshing scent. SheerTan has the same tanning coverage. The first of its kind on the market, SheerTan provides the best in quality. We all want that great tan for summer and we know how it gives a lift to your spirit but we now realize that exposing your skin to UV rays carries risks of skin cancer not to mention how it ages the skin. With sunless tanning, those risks are minimized yet your skin still can appear golden brown. If you have summer vacation plans, you can feel confident that your tan will stay with you. Just throw our folding compact wand in your luggage and you’ll never have to worry about losing your tan while you’re gone. Innovative, compact and easy to use in the privacy of your home or while traveling, use SheerTan anywhere, anytime for sunny skin everyday! We have the only self tanner that is dispensed with compressed air ONLY. This means you don’t have to breathe chemical propellants. It’s ENVIRONMENTALLY FRIENDLY for you and the atmosphere! • Our spray tanner can weighs 4.5 oz but does not have the liquid propellant weight most cans have. SheerTan self tanner gives as much coverage as those weighing more than 5 ounces. • Our spray tanner aerosol can has a bag-on-valve system enabling you to dispense tanning solution ONLY. This prevents skips and you can use it to the last drop for your perfect indoor tan. 1.) With the folded Tanning Wand in one hand, pull to open the Wand with the other hand. Fully extend the sunless tanner Wand until it clicks into position. 2.) Press the tab below the cap to open the cap to receive the sunless tanning solution. 3.) Insert the spray tanner aerosol can with the spray nozzle facing forward.Lower the Tanning wand cap until it locks into the closed position. Now, you’re ready to spray! Grasp the sunless tanner wand at the base of the handle. Depress the hand trigger to dispense the tanning solution. for best results, keep the tanning wand moving at all times while spraying. Keep the nozzle 5 to 6 inches away from your skin and move the wand in small circles or overlap if spraying vertically or horizontally for even coverage.There are many ways to apply your tan. Find one that is comfortable and works for you. Automatic refills - never run out of sunless tanning aerosols! Simply select the quantity SheerTan® Aerosols you would like to receive per month - we do the rest. Membership is free and the Fresh Supply Club members will automatically receive all tanning special discounts 15% on future shipments! Cancel you sunless tanner membership at any time with no hassles. Our contest winner will be excited to win a SheerTan Starter Set which includes one SheerTan Wand and one Sunless Tanning Aerosol. The retail value of Starter Set is $34.99. I'll give you more chances to win it. This contest is open for US Residents only. Visit SheerTan and explore the website and tell me what you like best about the website and why you would like to win. It's that simple! Be sure to leave your email address so I can contact you if you're the lucky winner. Contest closed on July 15th, 2009. Want to win more? Enter to win the rest of my current giveways! Good Luck to everyone! Spread the word! what a cool blog!! I am currently having a giveaway on my blog. Please take a look and hopefully post it?? smile! the blog addy is sweetcuddlecakes.blogspot.com. Thanks!!! I like the tips on how to maintain your tan. I spent a lot of time in sun when I was young. At this point in my life I am trying to avoid any more damage, but yet I like the summer tan look. I like the Tanning Tips...and if you could see me and how pale I am--you would know why I need it! Definitely the best part of this product is that you can "Reach all parts of your body with ease using SheerTan Wand Sprayer." With most sunless tanners there's always going to be somewhere that gets missed. I got too much sun growing up and now try to stay protected, which I know is better for me, but I would love to not be so pale! I entered your NoThrow Giveaway. I love the beachy, clear blue sky feel of their site lol. I miss the beach :( Does that count? I like that their site is easy to navigate! It showcases their product very well. Thanks for the giveaway! I love tanning, however, with all the skin cancer going on with younger girls, and me being only 27 I would like to be tan, yet not have the risk of cancer. This would be a great way for me to get tan, look great without the cons of going to the tanning booth! I like the website because it is easy to navigate and bright and cheerful. I want to win because I am tired of pale skin and want a tan! 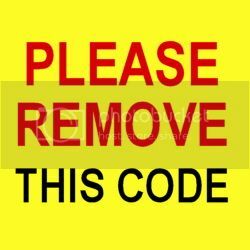 The website gives you clear instructions on how to use the product - sounds easy! I like that it can travel with you and you can get a tan anywhere. I've tried lots of tanning methods - I'd like to win this one because it sounds safe and easy. I learned that Moisturizing smoothes out any mishaps and leaves a fabulously even tan! Remember to wash your palms with soap afterward or wear gloves. I would love to win this because I am so tired of being so pale looking. I love that the sprayer reaches all parts of the body so you don't have to have someone rub it on you...thats a pain! I love that they have paypal. I get so worried about using my actual credit card. I like the beachy colors of the website and I really like that this product is environmentally friendly. I entered the no throw giveaway. Entered your safety tats giveaway. I like all the tips on the site. I need this because I am pale and don't tan. I would really like to have some kind of tan for the summer. they offer tips on how to maintain your tan and i really like that they offer Paypal . Skin cancer runs in my family big time so I try to get my tan elsewhere. I have been using PayPal for a long time, so enjoyed that fact. wow - it is a great website. I really like the colors - it makes be think of sand and ocean and I love that it has very clear and complete instructions on how to use the product. I'm actually really impressed. I'd like to win because I'm very sensitive to the sun but would still like a healthy glow. Thanks! I like the facts on the front page; they answer most any question instantly and you don't have to hunt for FAQ. I'd like to win because I'm too pale to go out in shorts, and it's too hot to keep wearing sweats and jeans. I like that they are committed to quality sunless tanning products! There are SO many on the market, but this is fresh and intruiging! I NEVER can get the middle of my back. EVER. sweet! Thanks for the giveaway! LOVE the Tanning Tips! I'd like to win this because I can't actually go on vacation this summer, I could at least look as if I did! I like that you can reach all parts of your body, you don't miss any spots. I like that its environmentally friendly,just using compressed air. Would love to win, I am red head I don't tan I burn ,would love to find a self tanner that doesn't make me look rusty.It cool that the applicator helps you reach your back. I like that the website gives you tips on how to get the best results. I am paler than pale and sunless products is about the only way I get any color. I like the way you can reach all the parts of your body. I love that the website has tips and tricks notes to help the new user of the sheer tan product. I also entered your hip t giveaway. automatic refills, how easy and convenient! You can reach all over, no missed spots. I like that you can reach all over - no missed spots even doing it by yourself! I need a tan! I like how they have good instructions on the site, and tons of info! I'd love to win this because I am white as a ghost! automatic delivery, how could you go wrong? I like that the website thoroughly covers how to use the wand, apply the tanner, etc. I need this because I don't tan, only turn red and add a few more freckles. Thanks! That sheer tan wand thingy is ingenious. I always only do my legs because I didn't want to start all that without being to reach my other parts. I like that the website is easy to navigate and very informational. I would love to win this because I hate tanning outside, its so bad for the skin and causes premature aging, but I still want a healthy glow. Thanks for the giveaway! The automatic shipment club offered on their website is a great idea! I would love to win this because it is impossible for me to tan, even if I didn't care about sun damage. 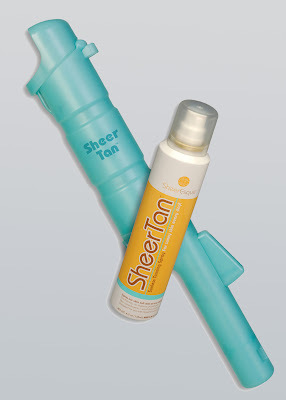 I love sunless tanners, but have a hard time getting an even, all-over application - the SheerTan wand would definitely help! What's not to like, automatic refills, no missed spots! A very summery looking site! I like the blue color. I'd love to win because I am not a very good tanner. I spend the summer, either white or red, never tan. No need to think about running out, automatic refills baby! I learned how effectively it helps you to cover hard to reach places. That's my biggest issue is having to ask my husband to help me get my back when I'm doing my back. I entered the LTD chix giveaway. I entered the anti aging perfume giveaway. I entered the madison candle giveaway. I like how their website give really detailed instructions on how to use the wand. I always get products like that and then can't figure out how to use them. What I like best about the website is that they really show you how to use this product and I would like to win this because I can get the look I want without anyone having to give me any help. I like that they tell you tips about how to keep your tan and it was also an easy site to navigate.I don't like being in the sun and this would be wonderful to have. Entered the Ear Doc giveaway! I really like the explanation on how the wand works. I put an entry on the sondastream giveaway. I put an entry on the anti-aging perfume giveaway. I put an entry on the madison candle giveaway. 1 entered the Win Madison Candle Giveaway! 2 entered the Win Madison Candle Giveaway! 3 entered the Win Madison Candle Giveaway! I like that it only uses compressed air so it is good for the environment. I'm following you on Twitter and I tweeted. I love the site and it's many tips!